Google's Pixel 2 makes a great comeback with the best camera on a smartphone, but can you look past its boring design? The overall design reminds me a lot of the Nokia 6 with the prominent speaker grille at the top and the bottom and shiny bevelled edges around the bezel. 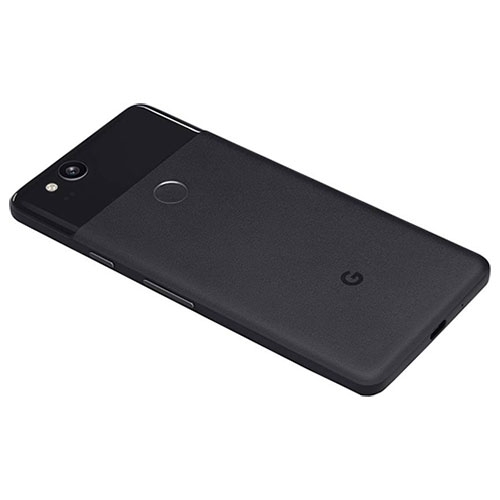 Flip it on its back and it’s easy to notice the smartphone’s resemblance to the Pixel family. The unmistakable glass window has now grown shorter and takes up only a quarter of the back as compared to the older model. This applies to both the front screen and the rear glass window and seems to be the faulty application of the oleophobic coating at best. The coating usually takes years to come off on iPhones so it is surprising that with less than a month of usage, it's already off and turns the glass bits of the smartphone into a smudge-laden mess. 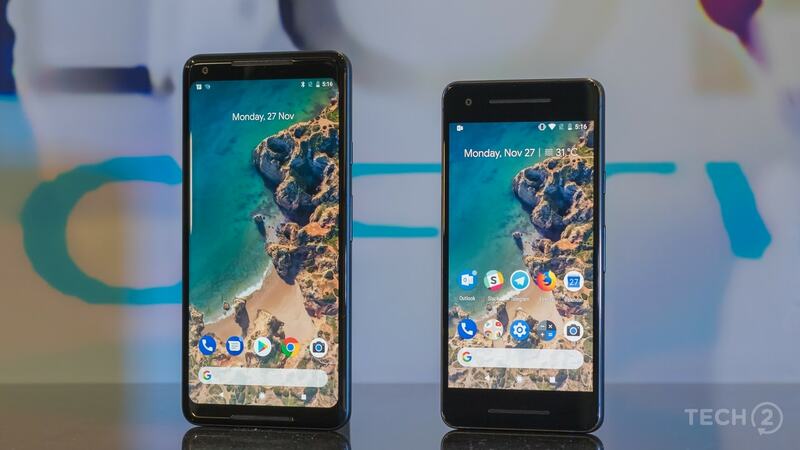 I did not face a similar issue with the smaller Pixel 2. 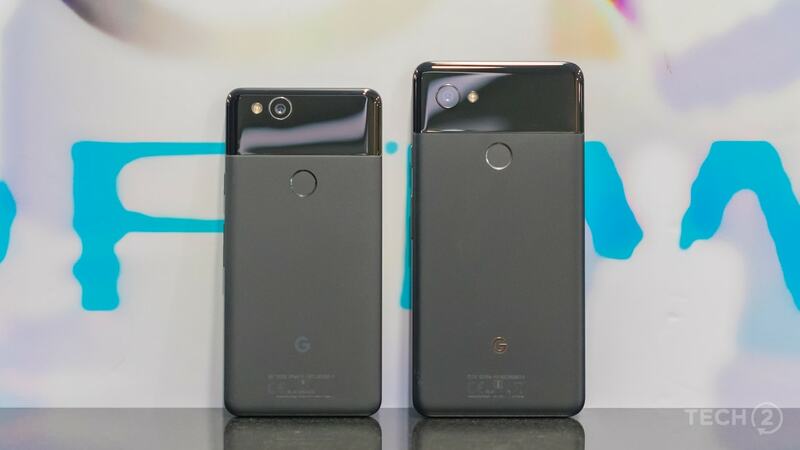 While I would love to complain about how the new Apple iPhone 8 models look dated this year, Google could have done a lot better in this department instead of going for the plain jane look; one that just cannot stand up against the beautiful Samsung Galaxy S8, the Note 8 or even the shiny HTC U11. While the levels of sharpness are spot on, LG’s P-OLED unit is quite messed up in the sense that it does not showcase accurate colours to begin with, despite Google’s advertised 100 percent DCI-P3 coverage. The colours look burnt out and showcase a brown tinge, which you begin to notice as soon as you power up the smartphone and stare at the boot screen. There is a strong blue tinge when you view the display a few degrees off axis. Another problem with XL’s display is that it’s just not bright enough. With Adaptive brightness turned on, I had to max out the brightness to get make the display look bright so that the colours look decent and usable when showing photos to friends and family. Again, the brightness levels only helped when viewed dead centre. 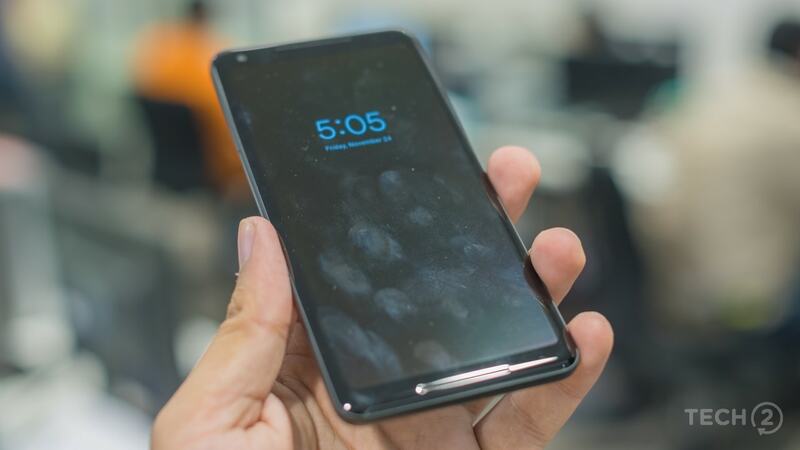 In short, the Pixel 2 XL’s P-OLED display just not up to the mark and certainly cannot hold its own even against the slightly lower priced Samsung Galaxy Note 8. 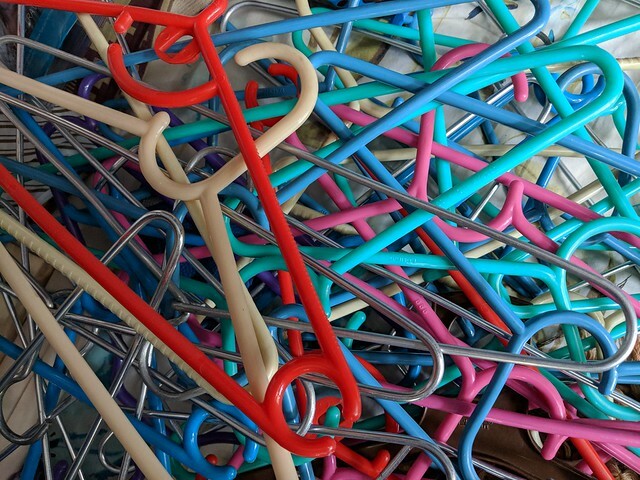 Software is pure Android, and it does not get any better. 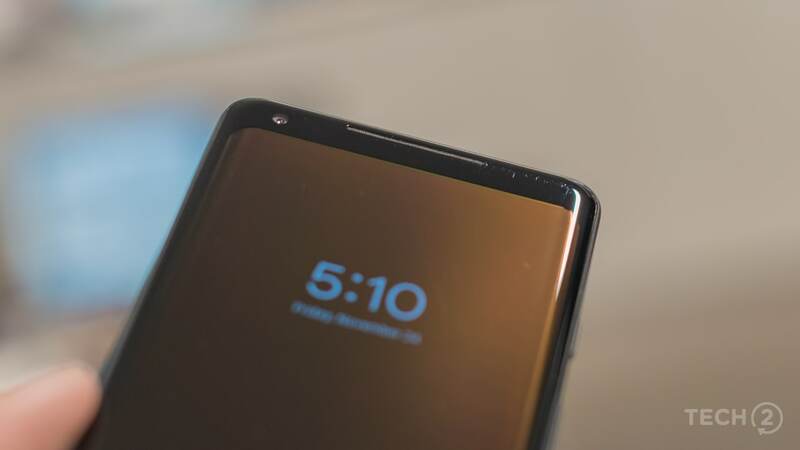 The feature will soon see a wider rollout as Oreo gradually becomes popular and should see other smartphone manufacturers adopt the new notification options in their respective skinned versions of Android. 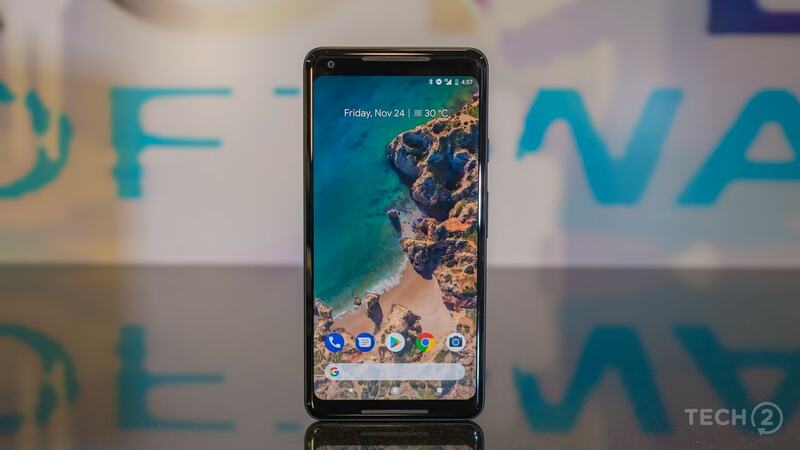 But for now, it’s only available on the Pixel 2 smartphones and surprisingly not on the Sony Xperia XZ1 that comes with Android Oreo out of the box thanks to Sony’s customisations. 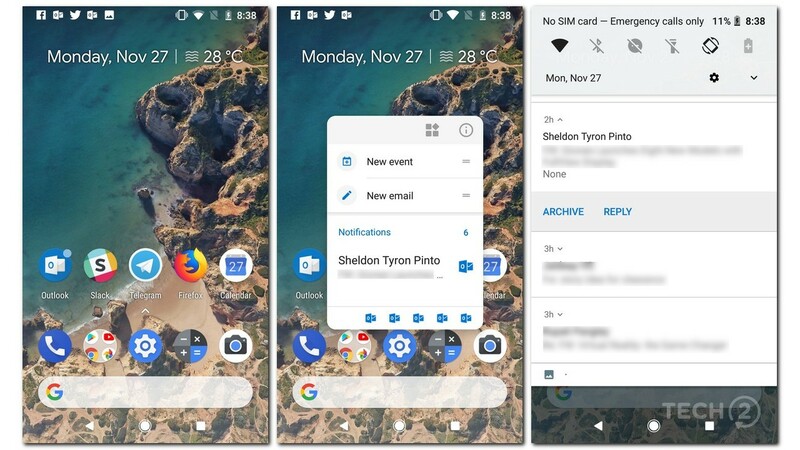 While I was happy to see notification dots natively supported on a smartphone, the feature is not as useful as I expected it to be and I eventually learned to ignore it, considering that the one single place for all your notifications has always been the notifications tray. More importantly, you really cannot reply or respond to any of those notification dot widgets like in the tray. All you can do is swipe them away. The notifications tray has also seen some subtle changes with Android Oreo. Stacks of notifications icons from different apps will pile up at the bottom of the tray as you scroll through them, which is a good UI move. Another cool trick in the Pixel launcher is that the theme changes from white to black (this applies to notification dot previews as well) depending on the wallpaper selection. I tried Pixels Lens on books (worked just fine), products (gave similar but nothing close to accurate results) and even some fancy hotel buildings. It does not work as intended but was more than useful when it came to pulling details from a business card, which is where I used it the most. It lets you save details from a business card straight to your contacts, but the unfortunate bit is that it lets you save just one field at a time. So again, a great idea, but badly implemented. 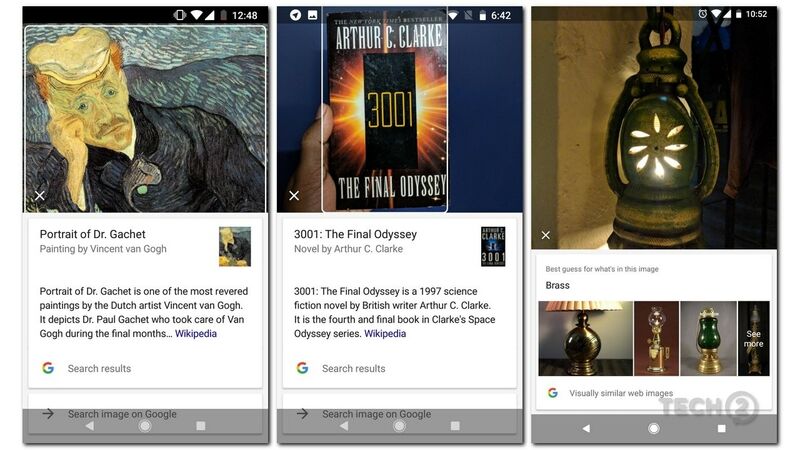 Lens is currently available only by clicking a photo but is making its way to the Google Assistant app. This means that you no longer need to open the camera, click a photo and then get results, but simply tap on the Pixels Lens icon from the Assistant app directly. The move definitely makes Lens more accessible. During my testing, the feature did not make it to the app, but from what we know, it rolling out gradually as a server-side update. 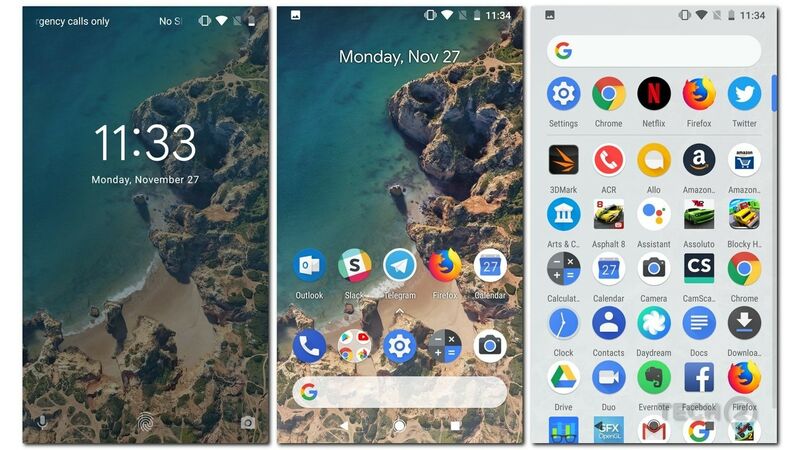 From the Pixel launcher to Google search, to the Photos app and several third-party apps, there are plenty of crashes. These however stopped occurring over time and I have barely seen any when I was penning this review. With the Pixel 2 XL, I also encountered some instances when the smartphone hung up and froze. This happened about two times, but a restart helped with solving the issue. 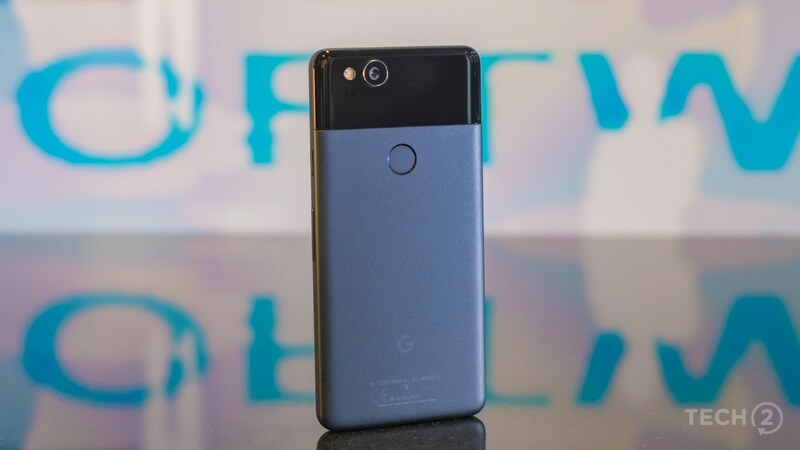 Lucky for the Pixel 2, it comes from the makers of Android, which is Google. So here’s hoping that future software updates fix the same. With that said, performance on both smartphones was top notch and the best you can possibly get from an Android device. Despite, having less RAM than what most manufacturers have on offer (usually 6 GB), the Pixel 2 and Pixel 2 XL played every single game I could install from the Play Store without breaking a sweat or heating up. Multi-tasking was a breeze and apps launches were super quick. Scrolling was buttery smooth and things almost felt iOS-like. Coming to audio, both smartphones delivered great sounding audio with well-defined bass and treble notes while listening to music through connected headphones. 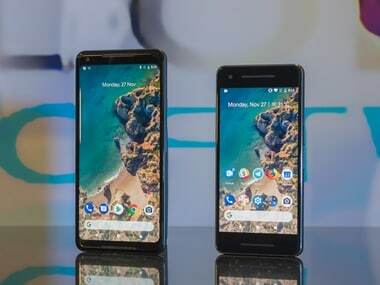 With Android 8.0 Oreo onboard I would have loved to try out the new high-definition Bluetooth audio formats, but Google for some reason did not send across any Bluetooth headphones for us to test them out with. Moving to the speakers, both the Pixel 2 and Pixel 2 XL feature a dual speaker setup. The Pixel 2 sounded great for its size and was loud enough for me to stream Netflix or YouTube, without the need to plug in my headphones, but this was only from a close distance. In short, it wasn’t loud enough to blast music inside a small room. Audio quality was pretty clear but could have done with better bass notes, as it did sound a bit empty despite the clarity. The Pixel 2 XL was definitely the better of two here. The dual speakers were loud enough to fill a room, and while they did jar a bit at the max volume, the audio was surprisingly clear and loud. To compare, the audio quality of the Pixel 2’s speakers was better than the iPhone 8, but Pixel 2 XL, fell a bit short of the iPhone 8 Plus. But there was this design flaw that really annoyed me a the both Pixel 2’s. 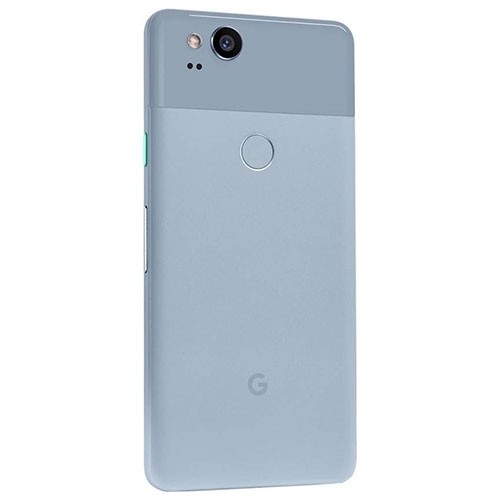 I ended up missing quite a few calls because both the Pixel 2 and the Pixel 2 XL’s speakers would get covered when in my jeans pocket. Since I have the habit of facing the phone towards my body when sliding into my pocket, the speakers get blocked and the audio gets muffled to the extent that you can barely hear the ringer on a crowded street. The solution, place you phone the other way around! 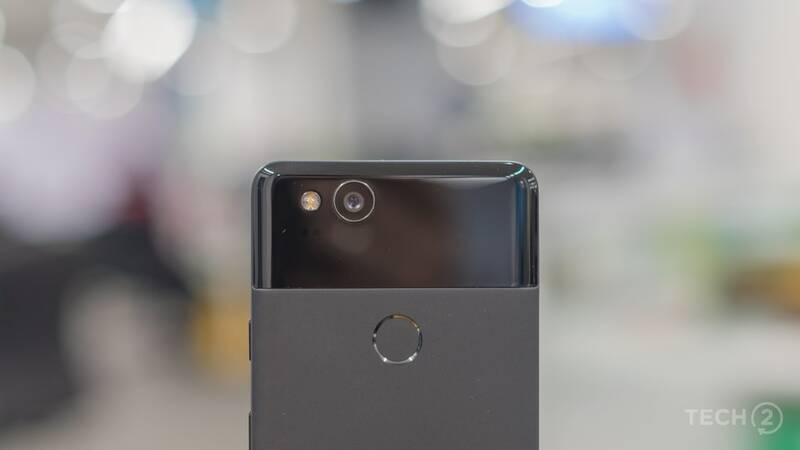 Camera Pixel 2: 9.5/10 Pixel 2: 9.5/10 If you love clicking photos with your smartphone, this is the smartphone to buy! The humble-looking single camera setup on the Pixel 2 and Pixel 2 XL beats the pants off any single or dual camera offering on any Android smartphone. The photos I clicked using the Google Pixel 2 and the Pixel 2 XL were stunning, both in terms of detail and clarity. The camera is quick to launch and start up and there is zero shutter lag when clicking photos, something that most cameras claim but can hardly impress when you see the results. 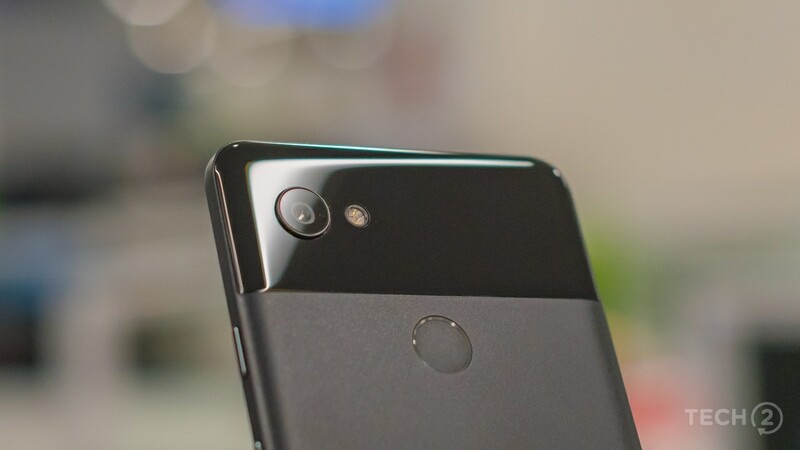 Think of the Pixel 2’s 12 MP camera as your typical flagships smartphone camera on steroids. It is wide awake and firing on all cylinders… all the time! It is almost as if the software behind the camera knows where to place the luminance noise and where to get rid of it, so as to deliver a clean image every single time, be in standard shooting mode or the highly-acclaimed Portrait mode. Check out the samples of the Google Pixel 2 below. Noise was clearly under control at all times, except for extremely dimly lit landscape shooting scenarios where there was barely any light in the scene. Still then Google HDR+ tech knew exactly where to place the noise (in the completely dark areas) and avoid it in the areas lit up by street lights below. It’s almost as if the camera understood the science behind clicking great photographs. 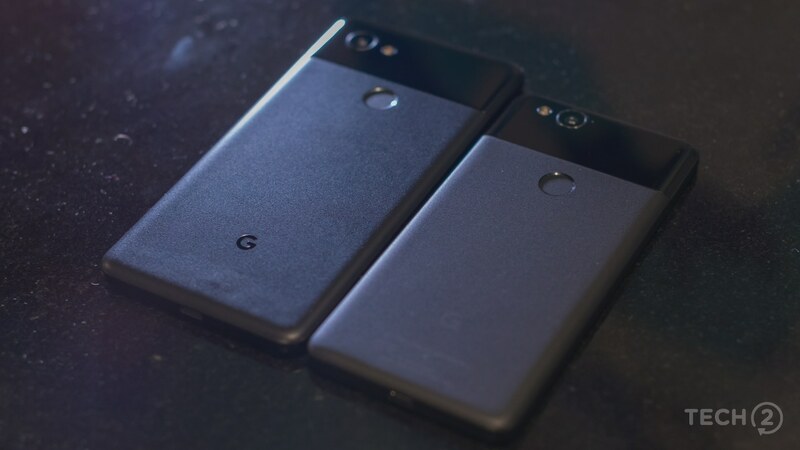 Check out the samples of the Google Pixel 2 XL below. Focusing was really quick, no matter what the lighting condition and the scenario, in fact the Google Pixel 2 is the only smartphone that could keep up with my overtly active nephew and produced DSLR-like portrait photos of him even in dim lighting. The Portrait mode works accurately even in low light and party shots, and captured moments instantaneously at the tap of the virtual shutter button. 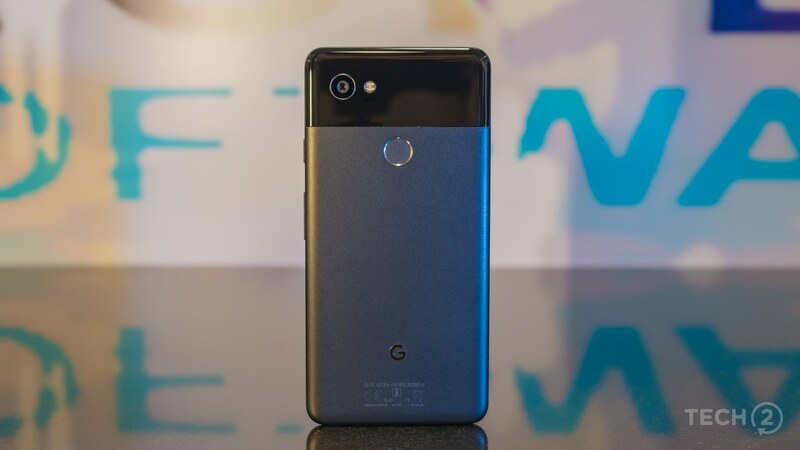 This is all thanks to Google’s engineering and software smarts ones that let it use that f/1.8 aperture, OIS, EIS, PDAF and laser autofocus systems to deliver class-leading clarity in photos. Yes, Google’s engineers went down to smallest differences (distance between the pixels on the PDAF or Phase Detection Autofocus system to give them two viewpoints to the same image that are less than 1 mm apart (that’s really close). This gave them the ability to basically get two images with a minute difference in perspective, one that was enough to compute and produce a depth map. 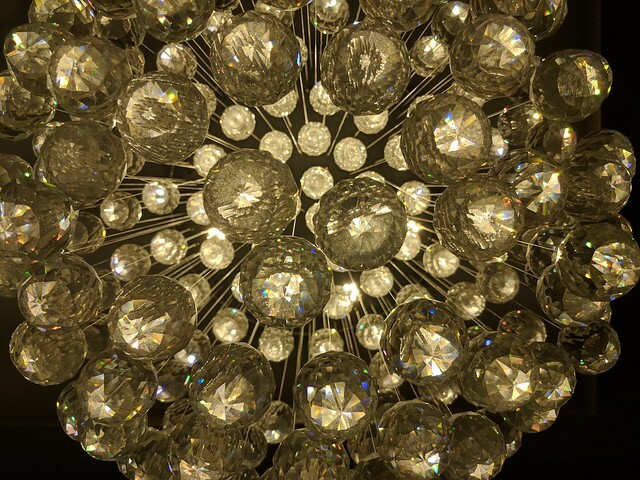 So the camera first clicks the perfect HDR image using HDR+, then applies its machine learning-based knowledge to separate the subject from the foreground and instead of going ahead with that data (a mask) adds the data coming from the PDAF system delivering some class-leading selfies, that make every smartphone with a front-facing selfie camera including the iPhone 8 Plus and the iPhone X seem to be lacking in som parts. 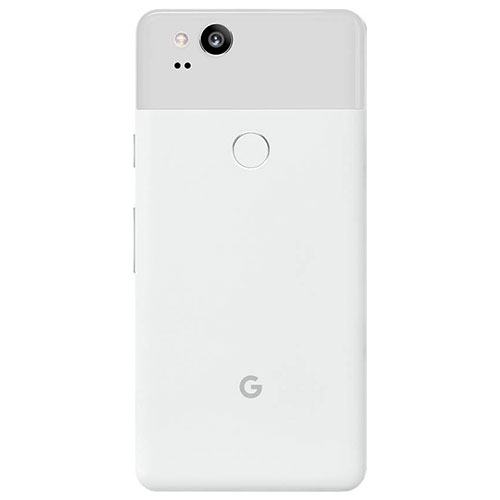 I’d wager that Google will come up with a Face ID replacement using the same camera tech next year. If you are looking to compare Apple to errr… Pixels, well Google Pixel wins in clarity and detail and there is clearly no competition, not even the mighty (and expensive) iPhone X in the low light photography department. Photos from the Pixel 2 / 2 XL do not tent do overdo the colour reproduction despite the always on HDR+. But when it comes to colour accuracy, the iPhone X is a lot closer to the real scene. But again, that’s just about all the iPhone X gets right. 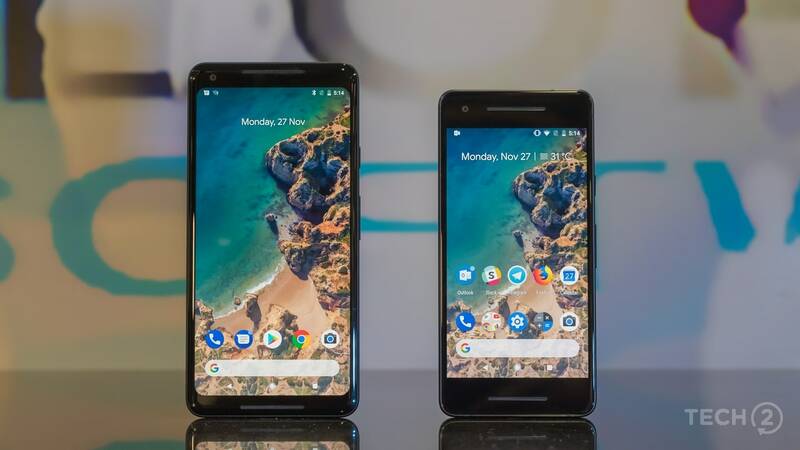 For everything else, the Pixel 2 and Pixel 2 XL, does everything better… by a mile. The Pixel 2 is really good with battery life considering it's as small as the iPhone 8. 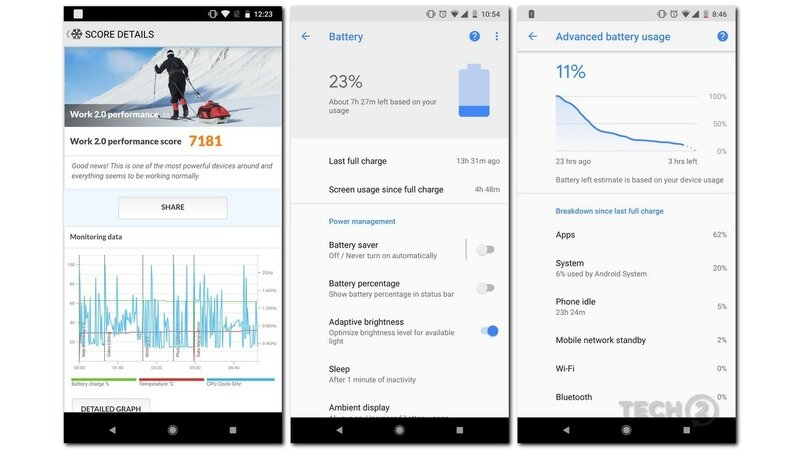 With the Pixel 2 and its 2,700 mAh battery, the smartphone would easily get me until the end of the day with about 10-15 percent charge left. And even with that, I had plenty of confidence that it would linger till the next morning without plugging the device in. The Pixel 2 XL delivers great battery life for a phablet-sized smartphone, but not better than the Mi Max 2. 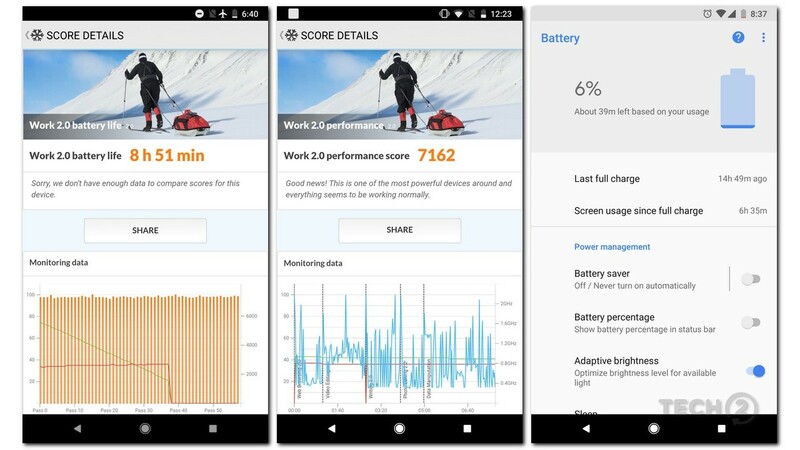 With the Pixel 2 XL and its 3,520 mAh battery, battery life was never a concern. I needed to charge the device once in one and half day. Yes, it was that good. 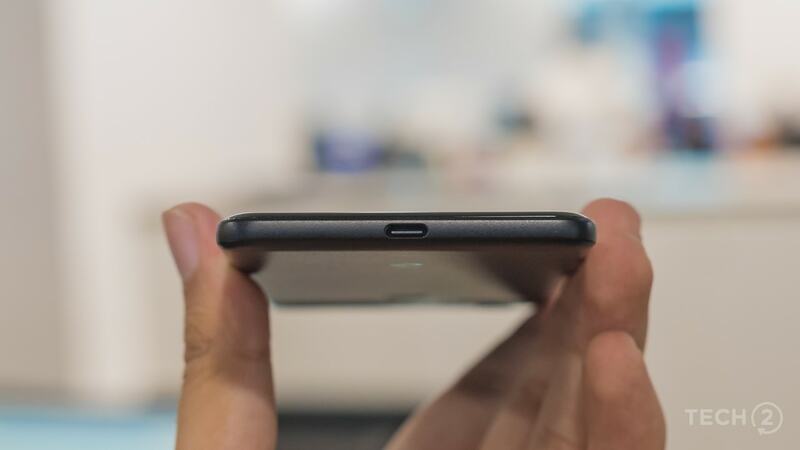 But there is a small problem with the taller Pixel 2 sibling, charging speeds. 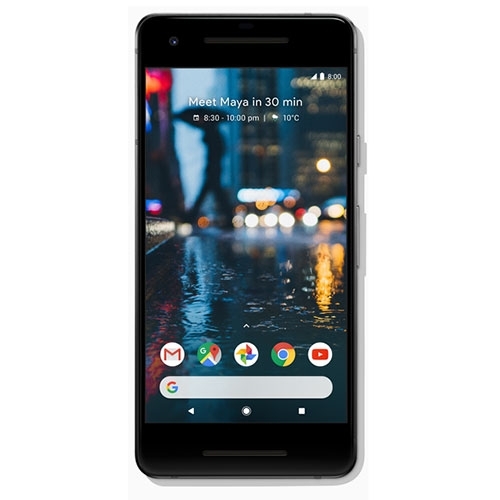 While the smaller Pixel 2 charged up quickly in a span of a little over an hour, the Pixel 2 XL did not. 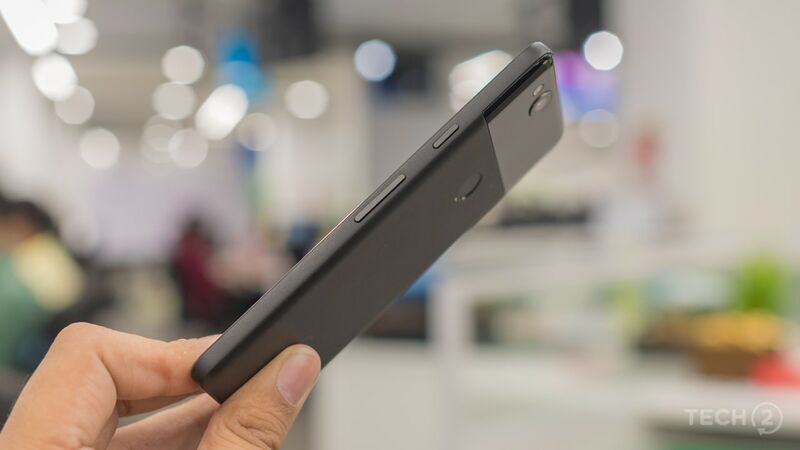 The battery inside the Pixel 2 XL takes easily over 2 hours to charge which is a shame because the OnePlus 5T’s 3,300 mAh battery charges up as quickly as the smaller Pixel 2. Still then, once it is charged up, the battery life last pretty long. As I explained in my first impressions, the Pixel 2’s biggest enemy is its design. It’s hard to believe that a customer would pick one off a shelf with other bezel-less smartphones on the same display. This also means that a Pixel 2 customer would know what he/she wants or is looking for in a flagship smartphone. A good performer with an understated look, that is more practical and performance oriented than fancy. Back in the Nexus days, Android purists would wait for the next Nexus device. The focus back then was not the camera, but the quick updates. 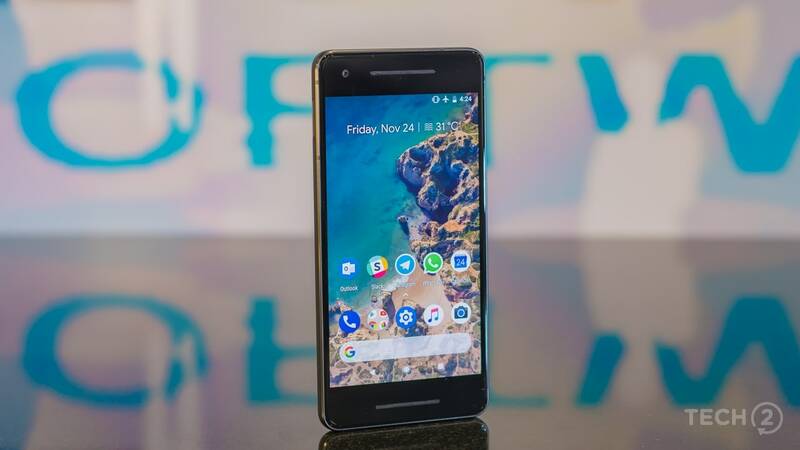 After Google introduced its Pixel brand, (they have headphones now as well) it was clear that Google wanted to lead the way, to show everyone how you build an Android smartphone and what a premium Android smartphone experience feels like. With the Pixel 2, Google simply reiterates all of this but adds something more. Google tells us that it is serious about building good hardware and the software to match. Stuff that until now, only iPhones were made of. 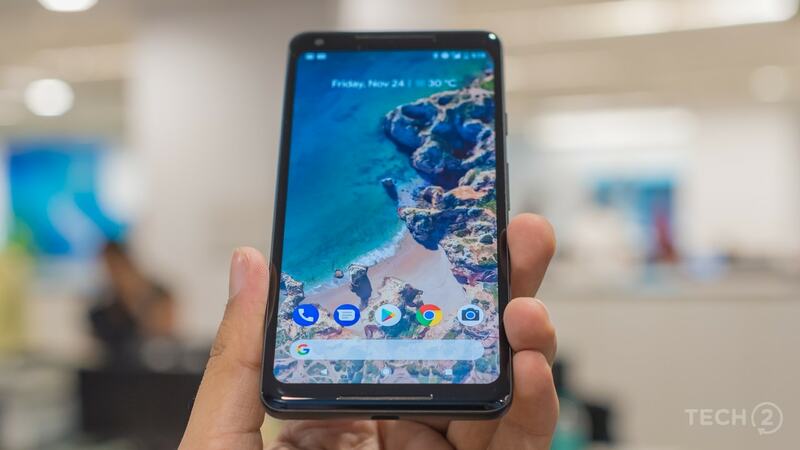 And this year, it is surprising to see how much effort went into the Pixel 2 devices with Google milking every drop of performance with lesser hardware thanks to tricks like machine learning. 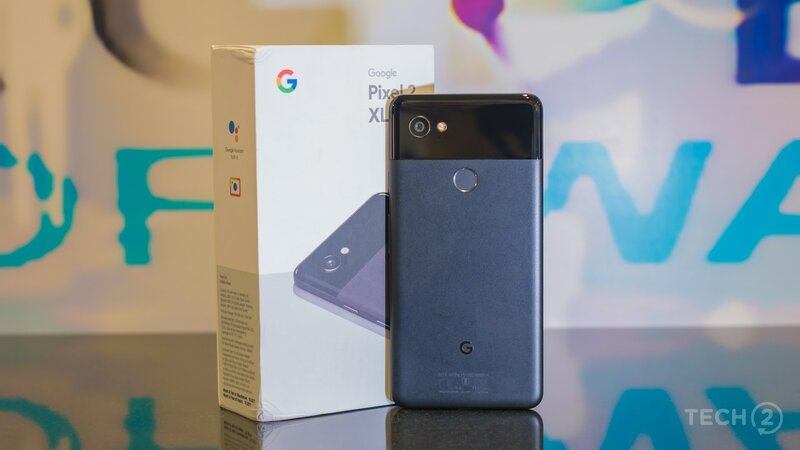 While last year was only the beginning, Pixel is now a brand that is neck and neck with Apple’s iPhones, and better in some areas. Although the design could have certainly been better. Here’s a question I would ask you: Why would you buy any other premium Android smartphone right now? 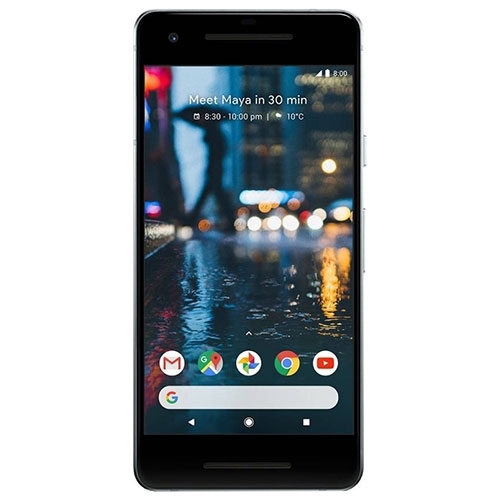 The Google Pixel 2 (64GB, 4GB RAM) features a 5.0-inch FHD AMOLED display with a resolution of 1920 x 1080 pixels and is powered by a 2.35GHz + 1.9GHz octa core processor and has 4GB of RAM. It comes with 64GB of inbuilt storage and has a 12.2.0-megapixel rear camera and 8.0-megapixel front camera. It comes with Android 8.0 Oreo OS and support a 2700mAh battery capacity with 3G & 4G.